COLUMBIA, S.C. (AP) — Los Angeles Mayor Eric Garcetti is returning to South Carolina next month as he continues to mull a 2020 presidential bid. The Charleston County Democratic Party said Wednesday that Garcetti will give the keynote address at next month’s Blue Jam . The event has become a showcase for national-level Democrats, including former Secretary of State Hillary Clinton, former Maryland Gov. Martin O’Malley and U.S. Sen. Bernie Sanders. Former Michigan Gov. Jennifer Granholm spoke at the event in 2014. This is Garcetti’s second trip in a year to South Carolina, home to the first-in-the-South presidential primary, where in February he hosted a fundraiser that brought in $100,000 for the state’s Democrats. In a wide-ranging interview earlier this month, the two-term Democratic mayor — who already has also visited the important presidential election states of Iowa and New Hampshire — said he intends to make a decision on his candidacy by March. 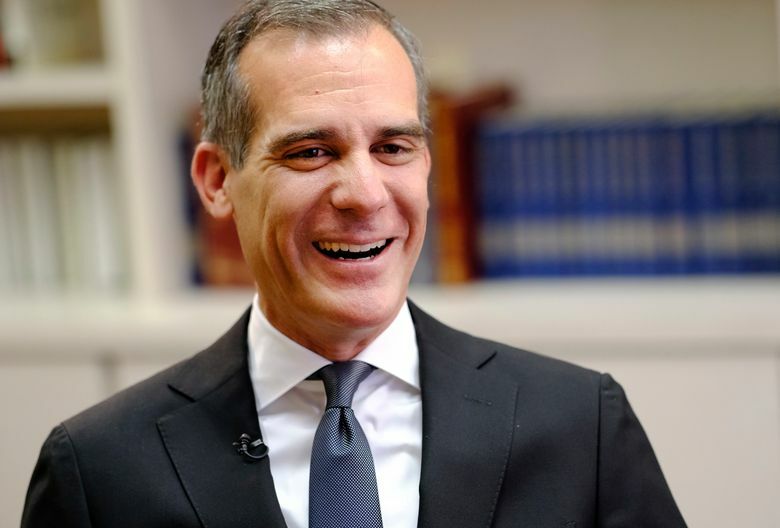 No candidate has ever ascended directly from a mayor’s office to the presidency, but Garcetti has argued that the work of mayors is essentially the type of chief executive work a president does. Other possible 2020 Democrats have begun making the rounds in South Carolina. New Orleans Mayor Mitch Landrieu, U.S. Reps. Adam Schiff and Rep. John Delaney have made trips to the state, as has U.S. Sen. Jeff Merkley. Former Vice President Joe Biden, whose history making trips to South Carolina dates back decades, has endorsed Democratic state Rep. James Smith for governor and could be planning a trip to the state to stump with him before this November’s election.